My throat started hurting a couple days ago. Until today, I considered a sore throat as a sign of success. 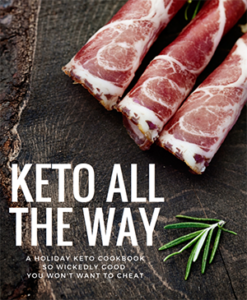 I’ve gone through keto induction four times. Every single time I’ve gotten a rotten, awful keto flu sore throat. It’s pretty much like, “oh! my throat hurts! must be in ketosis!” Pee on a keto stick. Confirmed. But it still hurts like hell, and today I connected the dots and realized that it’s a symptom of a bigger keto problem. Searching through the internets will give you a bunch of people who will ask “does keto give you a sore throat?” Followed by a bunch of keto-ers and low-carbers who will tell you going on keto won’t give you a sore throat, and neither will keto flu. I can’t blame them, they’re just speaking from their personal experience. But they’re a little wrong, and that’s the puzzle piece I figured out today. A keto diet naturally lowers your pH, which can do a whole host of bad things to your body. Last year I went to a natural health clinic where they tested my blood and pH. This was about a month after being in ketosis. One major red flag that came up was my pH. My pH was around 6 when it’s supposed to be between 6.4 and 7.4, ideally closer to the 7.4. In fact, they say Cancer dies at a pH of 8. A pH of 6 might not look far off, but it is. A reading of 5.5 is acidosis. Guess what one of the side effects of having a pH around 6? Oh you know, just a SORE THROAT, amongst lots of other issues, like being a magnet for infection and sickness. So will keto give you a sore throat? For some people, yes. Did you know that when your pH is low, you also absorb 20% less oxygen, too? So regardless of whether your sore throat comes from your low pH balance directly, or because you got sick based on your low pH balance – this is something to watch. It’s not healthy, in fact, I think eating bread and sugar might even be more healthy. My point is this: A ketogenic diet messes with your pH balance, and something I was told when I got this diagnosis was that when you follow a ketogenic diet, it’s really important to drink lemon water every day. Staying hydrated is my biggest keto sin, so it’s no surprise that every time I go on keto, or fall off the boat and get back on, I get a sore throat. To confirm, all you have to do is buy some pH strips at your local medical supplies store (or online, or perhaps at your local pharmacist, but CVS doesn’t have them.) I did this today. I’m a 6 again. D’oh. Assuming your sore throat isn’t based on a real sickness (don’t replace my advice for that of your doctor), here is the remedy I used to boost my alkalinity today. It’s also recommended by some folks on a day to day basis. It’s not delicious, but it helped. I like to keep 12oz mason jars around for drink recipes like this. Eat something after this or you might get burpy. I did. Grapefruit Seed Extract is one of the most alkaline forming foods there is. It’s also a bit harsh. I did this also, which helped my throat feel a little better. You’re supposed to gargle it several times per day. It’s meant to be mixed into something like Orange Juice if you want to drink it, but that’s not really an option for us keto-ers since OJ is so ridiculously high in sugar. The benefits of GSE are insane, so it’s worth having in your cabinet regardless. Get gargling! You can also swallow and it’ll help with your pH that way too. If you have a keto sore throat too, then you might consider reading the Acid-Alkaline Food Guide to better balance your diet. Or my pH balancing foods post! Keto Flu Sore Throat Smoothies + Alkaline Boosters. As a preventative, consider adding alkaline-boosting smoothies and foods to your everyday diet. Having a low pH is sure to do more damage to you (and me! )than the high-carb diet you were on before. I’m going to take my own advice here and start drinking Aloe Vera Lemon water every day, and some of these “green” smoothies I found below. They’ll probably need a little bit of adjustment to be keto. Alkaline Green Smoothie, which blends up cucumbers, kale, mint, parsley, ginger, avocado, coconut water, lime juice, Udo’s oil, hemp seeds, and stevia. Not totally keto-friendly but you can adjust. Dr. Young’s Alkaline Green Smoothie which blends spinach, water, avocado, grapefruit juice (I bet you could get away with using the extract for fewer carbs), English cucumber, raw creamed coconut, and liquid stevia. The basic of any pH-raising, keto-friendly green smoothie starts with 50% leafy greens and 50% fruit, which in keto-land can be an avocado. Then just add the keto-friendly foods you enjoy and can blend. You might be noticing now that leafy green vegetables are great for raising your PH. So with that in mind, a baby arugula salad or spinach salad with lemon juice and olive oil dressing would be a nice add-on to your every day. I hope this helps soothe your keto flu sore throat. Feel better! how long does it typically last ? Before I knew what caused it, it would last a week or two. Now I drink lemon water and eat extra greens during this time to alkalize and I don’t get it at all. I’m on day 10 of a sore throat after starting keto. I’d been drinking enough water and even adding lemon some of the time, but it wasn’t helping. Went to a Minute Clinic today because it was so painful last night. They basically said it was either allergies or acid reflux. Pretty confident it isn’t allergies because I know what my seasonal allergies usually feel like. I took a tylenol and tried some antacids earlier today, which helped. I don’t want to continue with antacids if this is something my body will figure out on its own, but I also think my throat needs to heal ASAP. Struggles. Thank you so much. I work in film and tv. I started this diet about 9 days ago, I am fully committed to it but I got a bad sore throat at the beginning. The sore throat led to heavy coughing and asthma. And I have major fatigue but can not sleep. I am NOT blaming the diet so no haters please. I just want to get better. I can not drink honey or do cough syrup or I had thought lemons. I can not be coughing on set. I work long hours, I work in the elements or old dusty moldy buildings and stages. I can not stay sick. I just ordered option one (lemon trick) and option two (grapefruit seed trick) with the ph test strips. I look forward to them helping. Hi Jed, it might be coincidental that you got sick at the same time as starting keto because I’ve never heard of respiratory issues with “keto flu” (although everyone is different!) I hope this resolved and you were able to start keto on a good foot! I do find that taking oregano oil (either from a dropper or in a liquid gel form) is a great way to kick a cold! To Jed Dornoff, I have had the same symptoms you had. On day 2, I got a sore throat and I still have it on day 14. But I’ve also had a very caustic cough and extremely runny nose. I feel better now except for the sore throat. 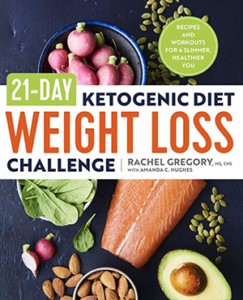 I also read in another blog of someone else who got cold symptoms after starting a keto diet. So I think this may happen to some people and not be coincidental. I’m going to try the rememdies suggested here. I’m a professional singer and have a gig this Saturday. I’m having trouble singing right now and hope my throat will be better soon. Wow, thanks for the speedy reply! I have been using keto sticks, but I’m questioning the accuracy. On a good day I’m showing light purple (middle shade) other days it’s showing no trace. But I know I’m under 20 carbs for sure. Any suggestions? Btw, I’ve made a few foods from this site whixh I loved! And I purchased your book from Walmart.com, so excited to try some recipes. The pee sticks though just measure whatever ketones your body is wasting and in the beginning you’ll waste a lot because your body is not used to using ketones as fuel …it’s not really a good indicator of what your blood Ketone level is although that can fluctuate so much as well based on hormones and other factors I don’t feel like testing with urine strips or even testing blood is a very accurate way of knowing if you are in ketosis.. and also just because someone’s in ketosis doesn’t mean they’re going to burn their own fat…a lot of factors. Thank you so much for the information now on the sore throat I was wondering what the heck is going on. 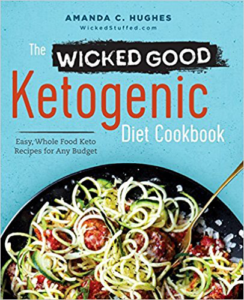 I thought I had a very alkaline diet, I do wheat grass juice everyday and eat a lot of Vegetables and protein and obviously fat being on the keto eating Style… the idea of being acidic despite that is disturbing. Hmmmmm…. What fluid/tissue was tested at pH=6? Blood? Urine? Mucus? Also, pH=6 means slightly acidic – the pH scale runs from low (acidic) to high (basic), with pH=7 as pH-neutral. I am also curious how gargling with lemon water (which has a pH even lower than 6) would help you *raise* your pH. Not saying that gargling lemon water won’t help with sore throat, just that the link with pH is spurious. I have been in ketosis for 10 days and didn’t realize this would happen. 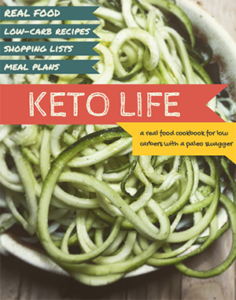 I finally decided to look into what I could do while on the keto plan and found your blog. I too have the sore throat and cough and running nose. I went out this morning and bought all the things to make your remedies. What I would like to know is how often do I drink the Aloe Vera concoction? Lemon will make your urine more acidic, not your blood. Lemon water will not change your blood. A tounge or urine pH test is itrelevant to your blood pH. If your blood pH drops below 7, go to the emergency room and ask how you’re still alive. Add lemon for flavor if you wish, but that’s the only effect. Your claim is just not true. Your pH was not at 6, or you would have died. Our pH does not fluctuate, rather our body expends every resource possible to keep it in range. Again, if you ever even reached 6.8 you would be dead. Why would you lie about this in your article? Can you please not do that again? Real people are looking for real answers, and this was a big fail. This is a true story, but since publishing this a long time ago I’ve since wondered if it was more likely my saliva pH and not my blood pH although they tested both. The rest of the information is based on what I researched afterward.